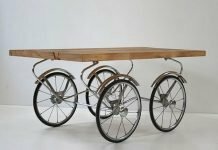 What does upcycle really mean? 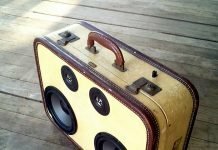 Why should one make such a fuss about upcycling? Let’s begin with the first question. In a nutshell, upcycling means ‘giving a new destination to a product that otherwise would end up on the dirt pile’. And one nice way to do this is to create special designs for those products. By doing this the upcycle designer is adding value and improves the world we live in. Part of the answer to the second question has already been given in the first answer. Upcycling is a must because it improves our world. And we should make a big fuss about it because people should start to change how we look look at our world and the waste that is produced. 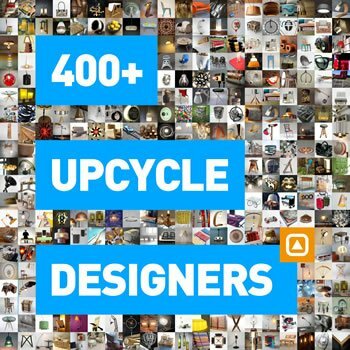 And looking at all this amazing upcycle design on upcycleDZINE, 390 designs!, it should be clear that upcycling creates a world with less waste and more fun objects that have a story. Having said all this I would like to present Eindhoven-based designer Tsuyoshi Hayashi, yes again Eindhoven | The Netherlands. 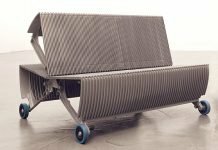 He used discarded roof tiles to create curving seats for a series of stools and benches called ‘Kawara‘. Five percent of all annually produced roof tiles in Japan are damaged during production and end up on landfill. This means more than 65,000 tiles are thrown away or end up being used for road construction. Hayashi collected traditional Kawara tiles from a factory in Takahama, a town in Japan where for decades tiles are produced from local clay. 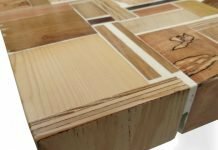 He cuts off the bad parts of the damaged tiles and fixes them to a sturdy wooden frame that he designed to fit the standardised shape. By simply mounting them no nails or glue are required. 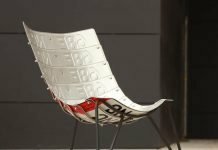 The mounted roof tile creates an ergonomic seating surface because of the tiles natural curve and characteristic texture. This results in a straight posture which is good for your back. 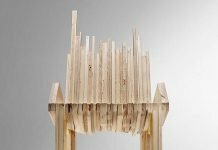 The wooden frames can be produced as single pieces or merged to create long benches with legs of different heights. In Japan tiles are fired at 1200°C, rather than the 800°C used in Europe. This higher temperature makes them incredibly hard. The process makes these tiles very durable, weatherproof and strong. A single chair can support 120 kilograms max. Tsuyoshi Hayashi shows upcycling in ‘a simple way’ through finding a new use for an existing material. Kawara was exhibited as part of the [D3] Design Talents exhibition at imm cologne 2014. 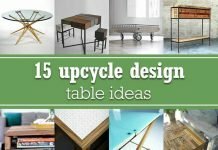 Let’s see what this years imm has in store for all design and especially upcycle fans.